Casual shoes can actually be the most comfortable shoes to wear on a daily basis. The best thing about casual shoes is that they tend to suit most of your outfits and if you want a pair that would suit a more formal outfit then you can usually just purchase a different color, and they will look perfect together. Therefore you can be comfortable with whatever outfit you want to wear. Most casual shoes for men come in a whole range of different styles, which can make it quite confusing, over which ones you should pick. Related: Dress Shoes in Review. 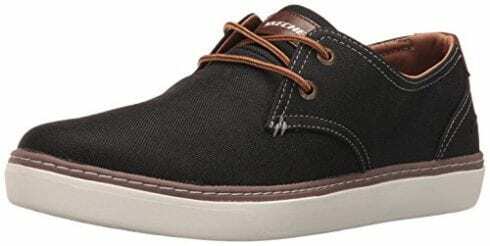 View the Best Casual Shoes For Men, Below. How to wear Men’s Casual Shoes? Where to wear Men’s Casual Shoes? How to Clean Men’s Casual Shoes? 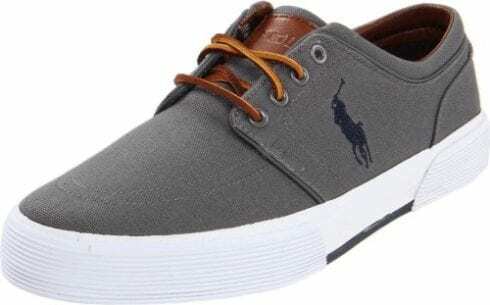 Therefore we’ve put together a list of the best casual shoes for men, so it will save you time trying to find some, plus, these ones are guaranteed to bring you the most comfort. 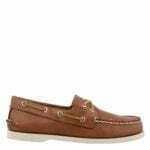 These casual shoes have a very classic design and most men should have a pair of these in their wardrobe. They are made from genuine leather, and one amazing point about these is that they have a non-marking rubber outsole, so you don't have to worry about them ever marking any surface. They are a lace up style of shoe, but you can easily slip them on as well. Another bonus is that they come with rust-resistant eyelets, so their appearance will always be sharp. They have a shock absorbing EVA heel cup to provide you with a lot of comfort. We liked these casual shoes for men because the non-marking rubber outsole is a very useful feature to have and they are made from high-quality materials. If you’re looking for a pair of casual shoes that are very easy to put on, then these are ideal. This is because you can easily just slip these on and when you don't want to wear them anymore you can just slip them back off. They are available in a whole range of natural colors, plus, some of them are made from different materials. These specific ones are made from suede leather and they are also 100% waterproof. They have a compression molded EVA footframe, which is able to provide your feet with a lot of cushioning. We liked this product because they were so comfortable to wear and the rubber sole has a lot of grip to stop you from slipping. This style of casual shoe is very fashionable right now, and you can certainly wear these if you have a formal event to go to too. These casual shoes are also available in half sizes, so you will definitely be able to find a pair that will be a perfect fit on you. Not only this, but they are also very comfortable to wear, and you won't get any blisters at all when you're wearing them out and about all day every day. They have been made from a high-quality suede leather that is also waterproof so you won't have to worry about them getting ruined in the rain. 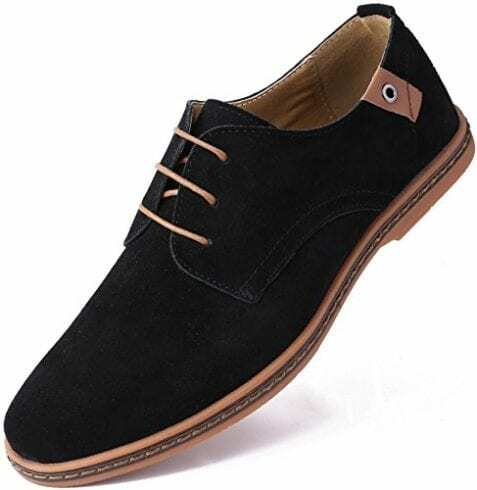 We liked these casual shoes for men because they are made from very good quality suede leather and you can see this as soon as you set your eyes on them. If you’re looking for a pair of casual shoes that are going to last you a very long time, then these are ideal. Ralph Lauren is known to have very durable and reliable shoes, these specific shoes come in a whole range of different colors. They are made from 100% cotton and suede, which is a perfect material to be made from as they won't make your feet very sweaty. This is because the material will allow them to be able to breathe. They are a lace up design so they won't be coming off of your feet at all. We liked this product because they are very reliable to wear and you will find they will last you a very long time. 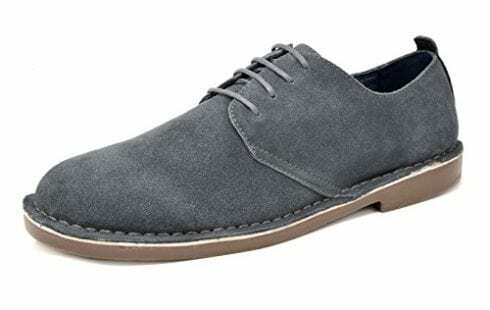 These casual men’s shoes are extremely comfortable to wear, and you will find that you can wear them all day without them causing you any problems whatsoever. They are made from leather as well as synthetic materials, so they are able to last you a very long time if you keep them in good condition. They have a very strong rubber sole that provides you with a lot of grip, so you won’t ever be slipping over if you have to wear these in the rain. The inside of the shoe is made from a cloudfoam sock liner, which actually provides you with a lot of extra comfort with every step that you take. We liked these casual men’s shoes because they have such a strong rubber sole that also provides you with extra grip, plus, they are very lightweight to wear. If you’re looking for a pair of casual shoes that are more suitable for the winter period, then these are ideal. This is because they are more like boots, so they are able to protect your entire feet and your ankles from feeling the cold. These boots actually come in a whole range of shades so you can purchase more than one pair for different occasions. They have a durable manmade sole, and they are very flexible when you wear them, so you won't have any difficulties walking in them whatsoever. They are also lace up so you can tighten them up if they start feeling a little loose. We liked this product because they are very suitable for wintery weather conditions, like rain and wind. 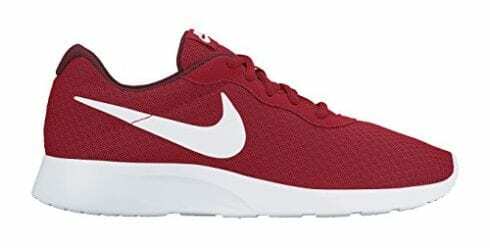 These casual shoes are definitely very fashionable to wear right now, plus, the color that these come in are truly amazing, and they will definitely make people notice you. They are also very comfortable to wear on a daily basis, and your feet will certainly feel cushioned when you're wearing these. They have a very strong rubber sole that is also able to benefit your foot's health; this is because they allow you to walk the correct way, and will make you have a perfect posture. 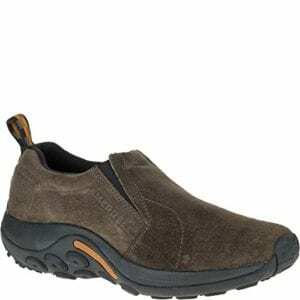 These casual men’s shoes are also very durable and reliable to wear for a long period of time. We liked these causal shoes because they really have a very modern design that will definitely get a few eyes turned when you’re wearing them. If you’re looking for a pair of casual shoes that you can purchase in more than one color, then these are definitely ideal for you. This is because there are a total of 17 different colors that you can choose from, so you can even buy a pair for each day of the week. They are made from suede leather, which makes them very long lasting if they are looked after the correct way. They have a strong manmade sole that is suitable for all different types of weather conditions. Not only this, but they are also flexible to wear, and they are also very lightweight, making them very comfortable on your feet. We liked this product because they are so lightweight to wear on your feet, and it will barely feel like you’re even wearing shoes when you have these on. 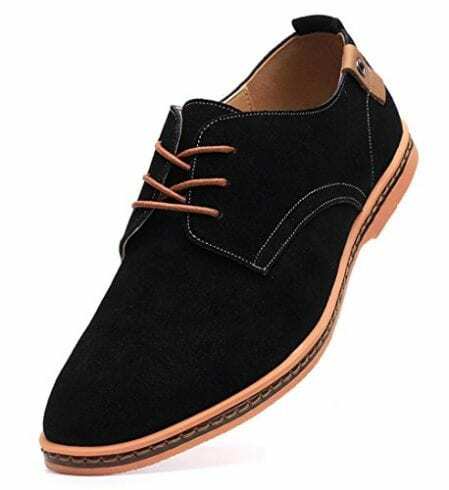 These casual shoes are the type of shoe that's suitable for wearing at the office and for wearing to the shops as well, so they really can be worn for any occasion. They have a very modern and fashionable design, and if you wear these, they will really set off your outfit. They have a long-lasting comfort that will still provide the same amount of comfort after wearing for quite a few months. Your feet can also breath when you’re wearing these casual shoes because they are made from suitable materials that allow this. We liked these causal shoes because you can really wear them anywhere you want to go, which makes them very useful. If you’re looking to find the most comfortable and cushioning casual men’s shoes ever then these will be right up your street. This is because the inside of the shoe is actually made from infused memory foam, which allows your shoes to mold to the shape of your foot. Therefore this means that it can actually prevent things like blisters and sores from forming, as your feet won't rub at all. They have a relaxing fit so your feet won't get stressed if you wear them for a long period of time. Not only this, but it will prevent you from getting any dull aches in your feet. We liked this product because they really were so comfortable on your feet and every step felt like you were walking on clouds. 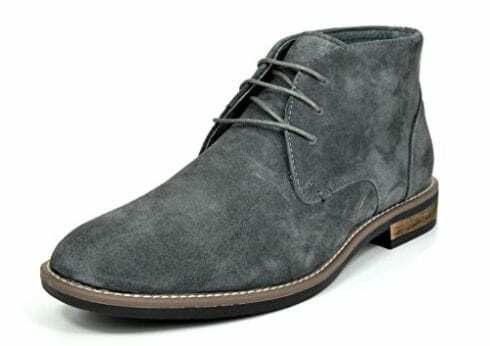 There are many different casual men’s shoes all over the internet, and it can make the decisions even harder over which one you want to purchase. A lot of them have a whole load of different features from extra comfort to extra grip. This can make your decision even more complex because some of these casual shoes might not actually have the same features as one another. Therefore we’ve discussed everything you need to look out for before you purchase a pair of casual men’s shoes in our buyer’s guide just below. The outside material is a very important feature because it is able to indicate a lot of things, for instance, how long the shoe will last. This is because if your shoe is made from a type of fabric material, then it won’t last as long as a leather shoe, as the more it gets worn, the more it will get worn out. However, this all really depends on how you treat the outer material of the casual shoe, because if you treat it in a very good way, then it should last you a lot longer. Leather is known to be the best type of material for the outside of shoes, purely because it’s able to last you a lifetime, but again this all depends if it is treated the correct way. The inside of the casual shoe will indicate how comfortable they are. If you’re looking for a shoe that will be really comfortable on your feet, then it’s best to purchase a shoe that has a type of memory foam material inside it, or even something like EVA. This is because it can easily mold to the exact shape of your foot and it will always provide you with comfort no matter how long you wear them for. Another feature that you should definitely look out for is whether or not they have a breathable material. This is because it will prevent any moisture from getting trapped in the shoe as this could actually cause athletes feet. The design is something that you will definitely need to look at, but before you look at the design of the casual shoe, you will need to know what type of weather conditions you will be wanting to wear them in. This is because a boat style of shoe isn’t going to be very useful in the autumn rain, as it will make your foot quite wet. Not only this, but a causal pair of boots won’t be very handy in the summer, as they will make your feet very hot and sweaty. Therefore it’s crucial that you find out where and when you want to wear them. Each of the casual shoes in the list above have different designs, and the design can make a big difference in whether they are fashionable or not. Therefore if you’re looking for a trendy and modern pair of shoes, the design is a crucial factor to look at. If you’re looking for something that has quite a lot of grip, then the sole is what provides this. It should say in the description what the sole is made out of; ideally, you will want it to be made from rubber or gum rubber. You should also check the description to see if the sole has any other additional extra grip features. Men’s casual shoes can actually be worn with a whole range of different clothing items. It all depends what the type of shoe it is as to how you should wear them. Most of them will be suitable to wear with jeans, and they will actually look quite nice with these on. A type of clothing that should probably be avoided when you’re planning to wear these is a tracksuit, as they really won’t compliment one another. If your casual shoe also looks slightly formal, then you may be able to wear casual suits with them. Even though these shoes are called men’s casual shoes, they can actually be used for a whole range of other things as well. This is because if you purchase a pair of shoes that are quite a smart design and they are also quite a smart formal color, then you can probably wear these to formal events too. Not only this, but you may even be able to wear them to work if they are suitable for the requirements. Therefore you won’t be limited to the places that you wear them if they are suitable for other occasions that aren’t causal. Not only this but the more you wear them, the more they will be able to benefit you, because of their extreme comfort. Cleaning casual men’s shoes can actually be a little bit more difficult than cleaning sports shoes. This is because they are made from different materials that will get ruined if you put them into the washing machine. Therefore you need to remember not to put them in the washing machine, otherwise, they may not survive. It really depends what the casual shoes are made out of, once you have found this out you will then know how to clean them. To find out what they are made out of then it’s best to check the description. If casual shoes are made from leather, then there are different ways that you can clean them. If they just have a little bit of dirt on them, you may be able to brush them off or even use a wet wipe to clean them. If they are in need of quite a big clean, then it’s probably best to use a leather polish of cream on them. If the causal shoes are made from a suede type of leather, then this can actually be tricky to clean, as you don’t want them to get ruined. It’s important that you don’t get these shoes wet at all or use a soap product on them because it is able to damage the material. You should use a brush gently on them to remove any light pieces of dirt, if there are quite stubborn marks on the shoe, then it’s best to use an eraser to remove them. There are many different men’s casual shoes all over the internet, and there are also many in stores across America that sell man’s casual shoes too. It can be quite difficult coming to a decision over which ones you should purchase, but there are some things that you need to remember before you do purchase any. For instance, that they fit you correctly, as you don’t want them to cause you any problems. Not only this, but there are also things that you will need to look out for in the description to see what type of features they have. Some of the casual shoes may have different features compared to some of the others. Therefore it’s best to check them all out properly before you buy any. There are a few more features that you will also need to look out for that we mentioned in our buyers guide before you do purchase any new casual shoes. It’s important to replace your shoes after you have worn them for roughly six months, as they won’t be able to give you the same benefits as they once did. The salary that you earn will subconsciously determine the type of shoes that you will wear or even want to wear. We hope you enjoyed our article on "10 Best Casual Shoes For Men in 2019", if so, please share and rate it.